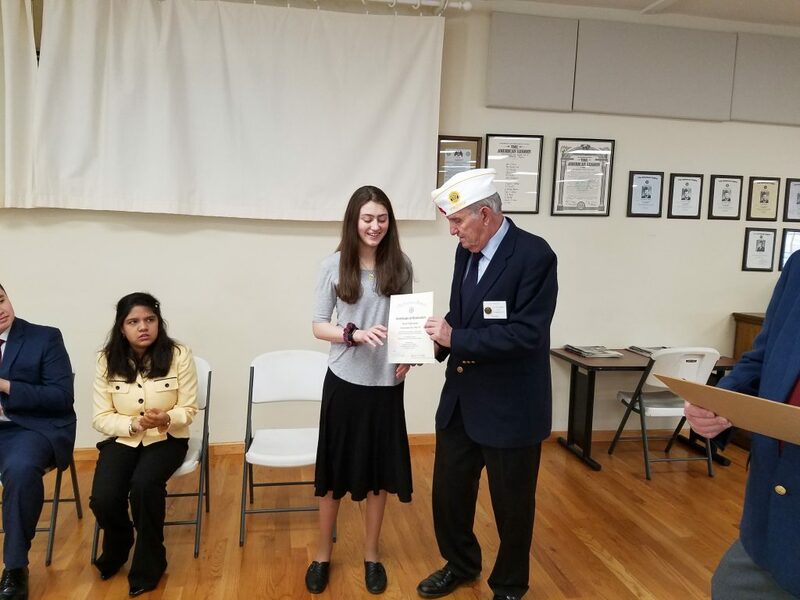 The Northern Regional Oratorical Competition was held Saturday, February 2, 2019 at Charlottesville Post 74. The morning started off cool and crisp but warmed up as the competition started. The competition was extremely close and the contestants did a stellar job with their presentations. The winner of the competition was Rosy Sultana who the 17th District. 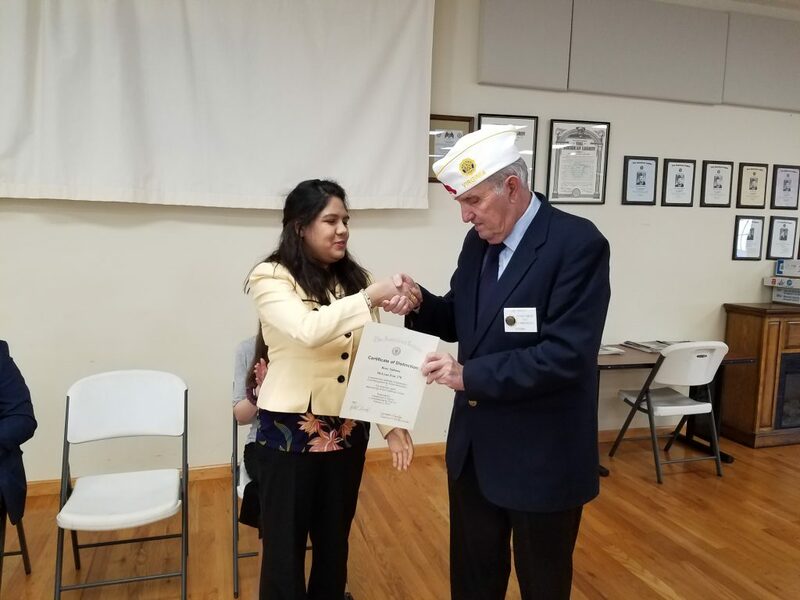 Rosy is a Senior from McLean High School and was sponsored by McClean Post 270. Second place was garnered by Gabriel Gilbert from the 16th District. 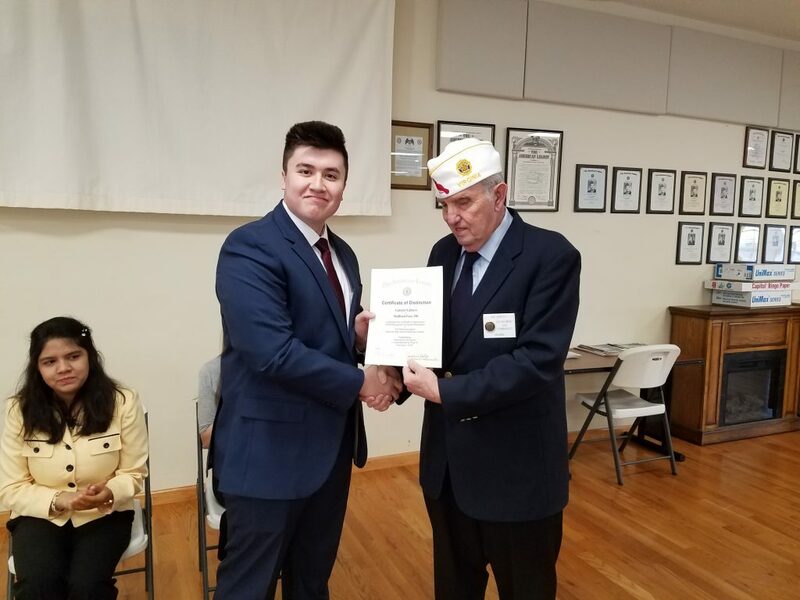 Gabriel is a Senior from North Stafford High School and was sponsored by Stafford Post 290. Charlottesville Post 74 did a tremendous job hosting the event. They had hot coffee and breakfast treats ready for the guests arriving from all over Northern Virginia. They also provided a very nice lunch spread to ensure the guests were fueled up and ready for the drive back. Third place was awarded to Katie Christopher from the 13th District. Katie is a Sophomore from Albemarle High School and was sponsored by Charlottesville Post 74. Congratulations to the winners and we look forward to Rosy Sultana competing at the Department competition being held on March 1st at the Department Spring Conference.